Matthew Weintraub teaches classes at FIU's beer academy. The Chaplin School of Hospitality at Florida International University doesn't offer a degree in beer brewing. There isn't even a degree in beverage management (although there's a minor). 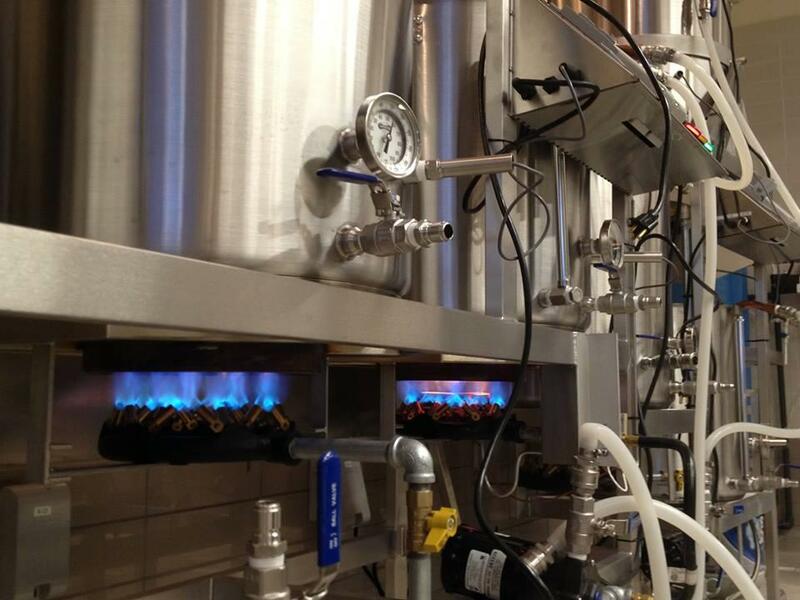 But earlier this year, FIU became the only school in South Florida with a brewing lab. Matthew Weintraub, a Chaplin grad who started a brewing club at the school, says the lab allows students to work hands-on with local brewers like Luis Brignoni of the award-winning Wynwood Brewing Company -- a more formal training than was available during his school years. When Weintraub was in school just a couple years ago, the beer-industry experience students could get was akin to homebrewing. It happened through the BREW FIU club, a grassroots effort by Weintraub and peers who wanted to learn to make beer, guided by professor Barry Gump. The brewing happened in large buckets in a repurposed kitchen classroom. The new facility shines with steel containers hooked up to tubes and valves -- real, professional brewing equipment. The Chaplin School's brewing science lab. "We can show students what they would encounter in the real brewing world, but at a much smaller scale," says Weintraub. But even though the Chaplin lab hasn't even been open for a year, Weintraub says the school has turned out about five head brewers in local craft breweries, and he's set to become one himself when a brewery called The Tank opens in Miami-Dade County next year. BREW FIU played a part in the development of those professional brewers. David Rodriguez of Wynwood Brewing Company and Nick Armada of CerveTech, a brewing space for amateurs, got their start in the club. And the school's South Florida BrewFest has been instrumental in getting hopeful beer professionals through the brewery door. Now in its third year, the BrewFest brings around 600 people to FIU's Biscayne Bay campus, says event director Paige Wuensch, also a Chaplin grad. Local pro-brewers and homebrewers take the spotlight at the festival, and there are beer-related seminars every hour. But the students play a big part, too. "It really does come back around to the students," Wuensch says. "They get to be able to work with the industry professionals and the brewers. Being an alumna myself, I tell the students this is the best opportunity to network." Weintraub agrees. He worked on FIU's team for the South Beach Wine and Food Festival two years ago, and says the experience got him and his peers plenty of industry contacts. "If they want to be in any part of the beer industry... come to [South Florida BrewFest], and you get jobs in the beer industry or you can at least touch [base] face to face with these guys," he says. "There's been a lot of students that got jobs out of this festival." 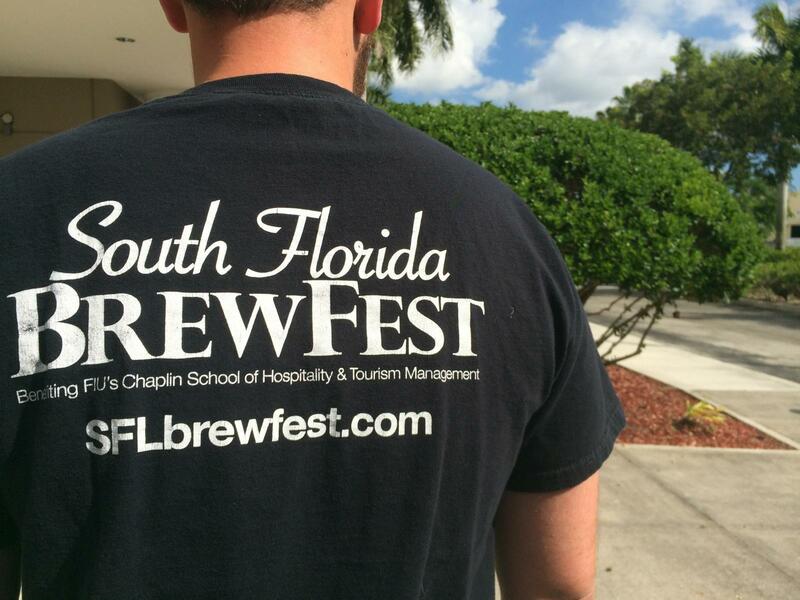 The South Florida BrewFest goes on Saturday, Nov. 22, from 12 to 4 p.m. at FIU's Biscayne Bay campus. How Much Do You Know About Florida Beer History? Mark DeNote doesn't teach his middle school history students about beer. But he did write Florida's history of "the drink of the working class" in his book, "The Great Florida Craft Beer Guide." 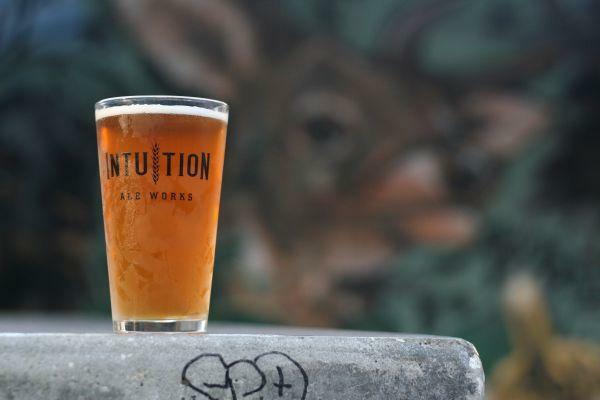 Head To Your Local Brewery For... A Yoga Class? Click through the photos above. This story originally ran on April 14, 2014. Shelah Davis is a professional yoga teacher who spends her 9-to-5 at a fitness studio in Florida City. But since the fall of 2013, she's been hauling her mats to microbreweries from Homestead to Oakland Park. She founded Om Brew Yoga -- so far the only yoga classes offered at South Florida breweries -- after learning of the practice in an established craft-beer state. A national organization dedicated to local beer brewing has selected Jacksonville as the location of it's next annual convention.